If you’ve ever been curious about the presence of runaway truck ramps on California’s Grapevine Grade, this video demonstrates the fact that they are there for a very good reason! A quick thinking semi driver takes one of these ramps, removing a grave danger from other drivers, and himself. 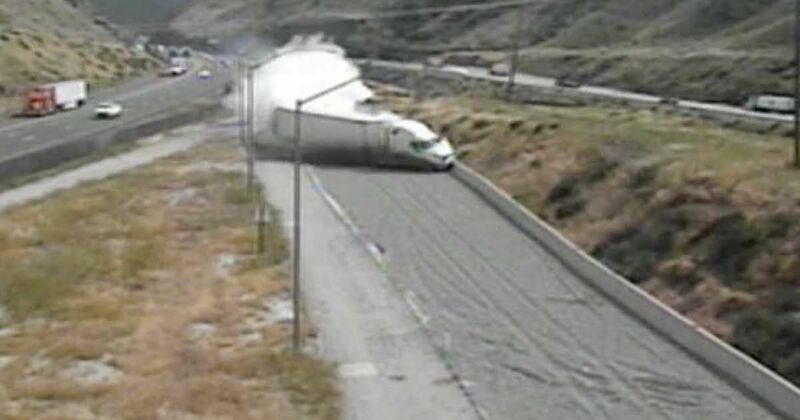 Runaway truck ramps provide a safety net for trucks traveling at high speeds with heavy loads and occasionally experience brake failure. These ramps reply on the additional friction created by sand and gravel and are built on an incline designed to help slow down vehicles through the use of gravity. Drivers familiar with US 99, now I-5, may be familiar with the Grapevine, which has been a fixture on the Ridge Route since 1915. This 40-mile stretch of highway between Los Angeles and Kern Counties brings to mind images of zigzagging stretches of highway nestled along the mountains that sit at the edge of the Golden State Freeway. The Grapevine earned its name for itself from its resemblance to a grapevine, winding through the contours of a picturesque mountain backdrop. According to the California Department of Transport, the Grapevine begins in Fort Tejon, and those first five miles include a dramatic 6% downhill grade that ends at the mouth of the San Joaquin Valley. This portion of the Grapevine is the steepest, most twisting, winding and rambling portion and is nestled in rugged mountain terrain. The full 40 miles of Grapevine were carved from both sides of a mountain canyon, and today, thanks to Caltrans, an eight-lane highway rests there now as a pinnacle of achievement that completely transformed the canyon. 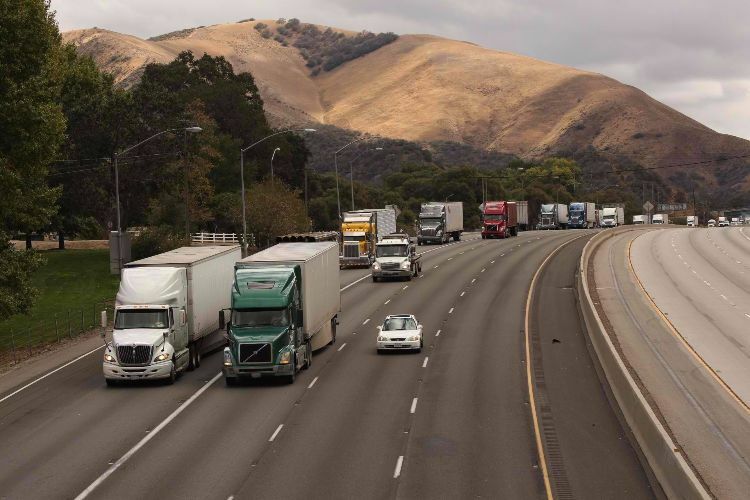 Today, thousands of big rigs move millions of dollars of goods across the Grapevine daily, with big rigs comprising 26% of the Grapevine’s traffic. Over 19,000 big rigs a day experience a unique drive on what is considered by experts as the backbone of California’s state highway system. Check out the video from Caltrans HQ below, and share if you like it. If you've ever driven through hilly or mountainous terrain you've surely seen runaway truck ramps leading away from the road. If you've ever been curious why and when they're needed, heres the answer.